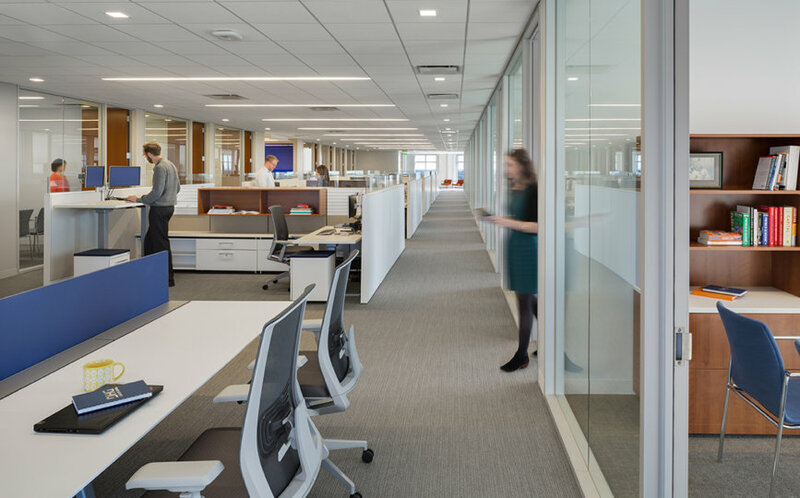 Barringer completed this 35,000 SQ FT, multi-phased regional corporate headquarters for DHG in the Capitol Towers Building. 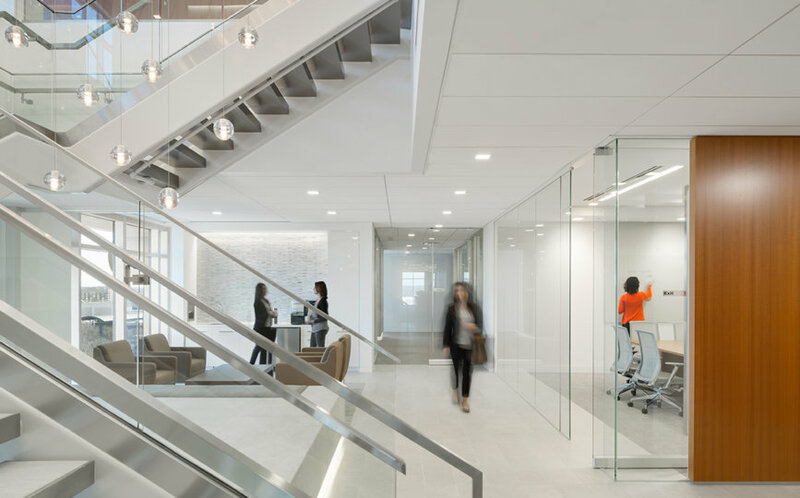 The first generation upfit has a modern, open design that encourages collaboration, and now serves as the new brand standard for this client. 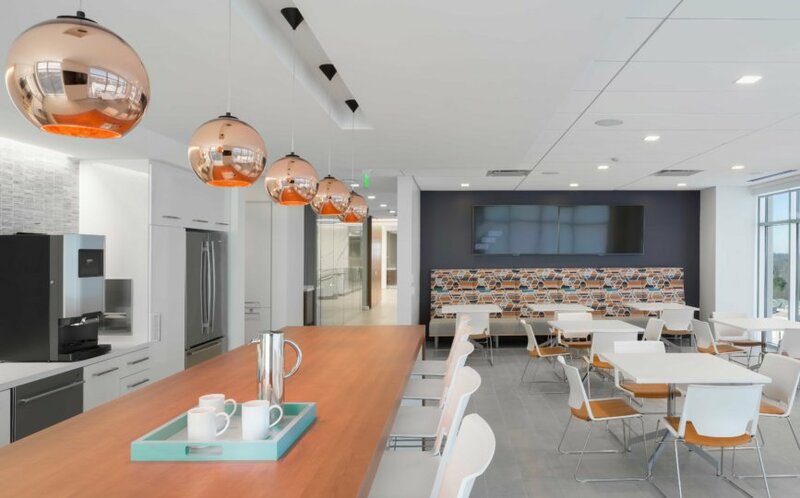 Characteristics of the space include unique lighting fixtures, a cafe-style kitchen, low wall work spaces, custom millwork panels, custom glass-front conference rooms and grand stairwell, high-tech audio visual meeting rooms and large format stone flooring throughout. 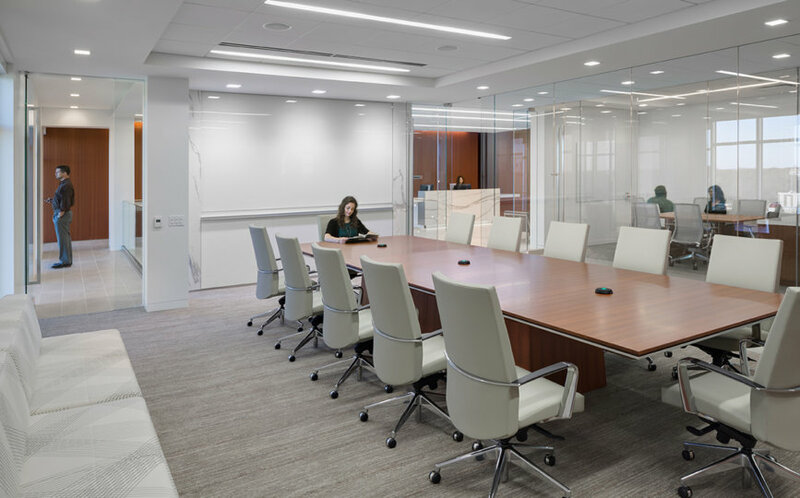 In order to be fully operational in time for DHG’s busiest time of the year, tax season, we fast tracked construction to meet an aggressive schedule. 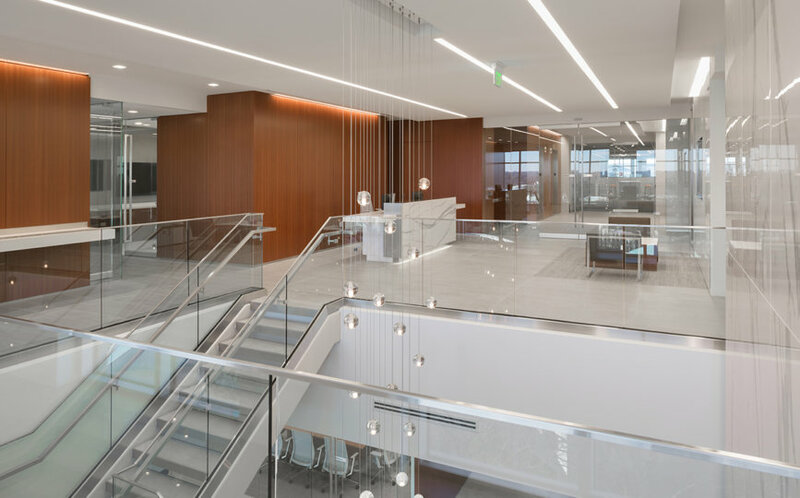 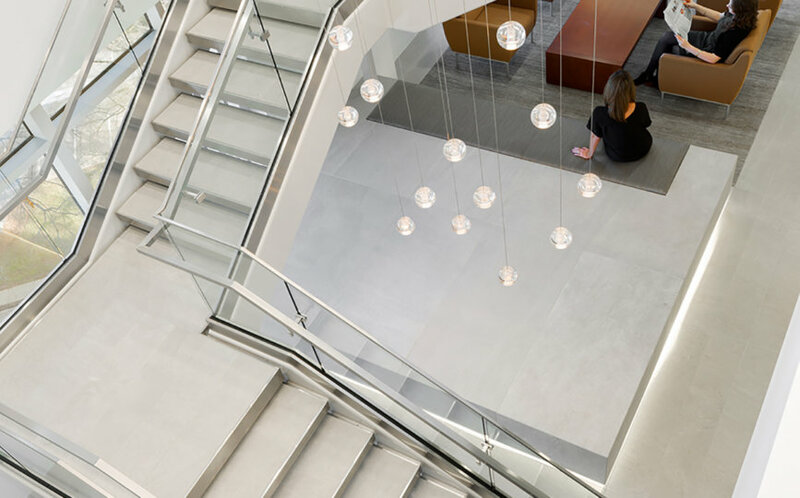 Through creative value engineering, our team completed the project on-time and under budget, realizing a 50% savings in the cost of the grand stairway despite the fast tracked approach.